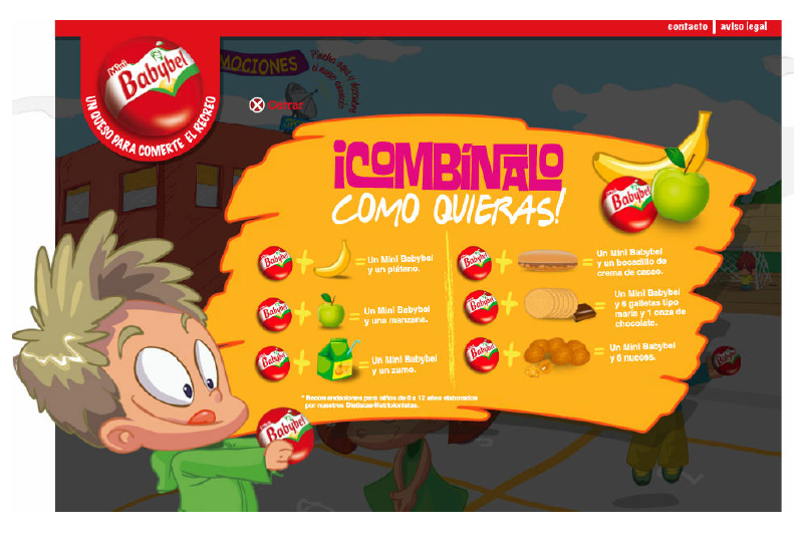 Our customer Bel Group, French manufacturer of dairy food products, asked us to draw up a nutritional communication strategy and the preparation of contents for the Mini Babybel campaign in the Spanish market. We carried out a product and benchmark study, and we spotted strategic opportunities, possible moments of consumption increase and touchpoints of the brand with young families. We also developed a contingency plan for the Brand managers. Registered dietitians-nutritionists participated in the copywriting of the contents and in the revision of the final materials to be published. The contents were based on dietary recommendations and aimed to introduce the Babybel cheese as part of a kids healthy diet. The contents were used by the client’s media agency to draft advertorials, and other pieces of the campaign such as articles and a web page.